As we saw previously, the construction of any given scale requires that you respect certain intervals between the notes. 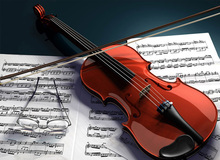 To achieve that, and depending on the tonic and whether it's a major or minor scale, you will need to use some sharp or flat notes ─ alterations defined at the beginning of the score, next to the key. In the same way, you can use this to deduce the key of a song. A given scale will always have the same alterations. 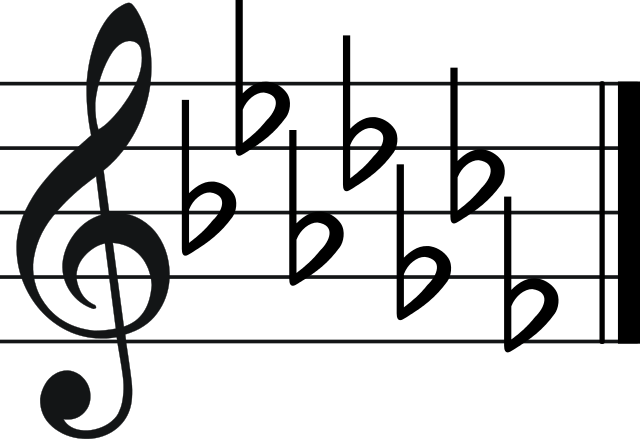 Hence, G Major has only one alteration: F#, while Db Major has five (Bb, Eb, Ab, Db, and Gb). These alterations are written at the beginning of the staff, next to the key. In a way, they correspond to the key signature of a given scale. In short, they characterize a key. 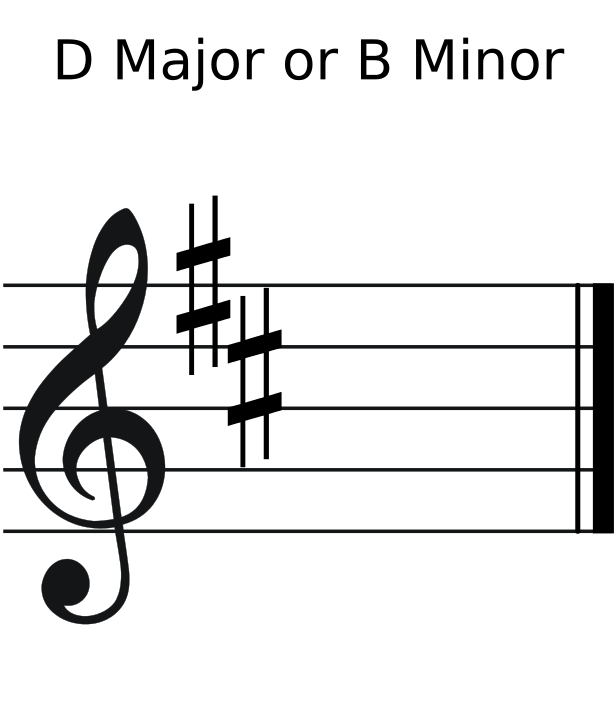 To make out the key of a song from its key signature, you need to do the following: If you have sharps, take the last one (from left to right) and add a semitone. 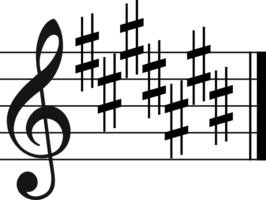 For example, if you see two sharps, F# and C#, the song is in the key of D Major. If you have flats, take the penultimate one and...that's it! 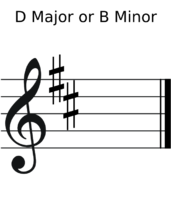 For example, with three flats, Bb, Eb and Ab, you get Eb Major. If there's only one flat, you have F Major. Yes, but...Remember one thing: The exact same group of notes can form both a major or a minor scale! That's why reading the key signature of a song doesn't allow you to be 100% percent sure of whether a song is in major or minor mode. In the previous example regarding sharps, the key could well be D Major or B minor. And the same applies to the flats: It isn't possible to determine from the key signature if the song is in Eb Major or C minor, its relative. And that's where an important element comes into play, namely the last note of the song. 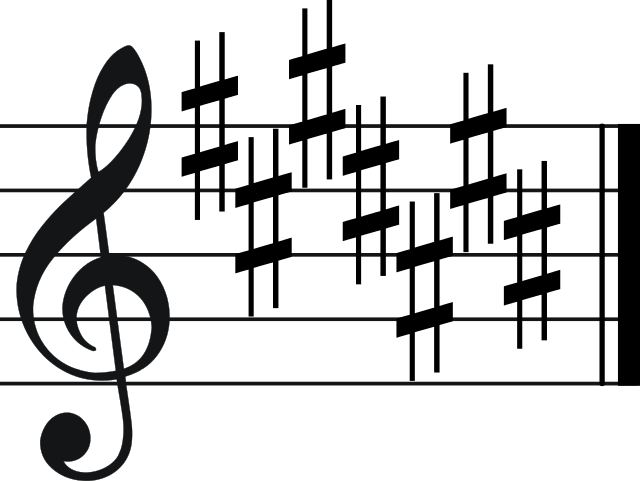 In many cases, the song ends in the tonic of the scale used, which allows you to confirm the key of the song. And since we are talking about keys and signatures, there is a very powerful tool that allows you to identify at a glance all alterations of a given scale, its relative major or minor, and the relations between the notes of the chromatic scale. 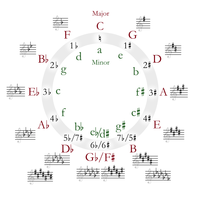 It's called the circle of fifths and it has the major scales on the outside and their relative minors on the inside. While it's very convenient to call by this name, it's really only partially correct. 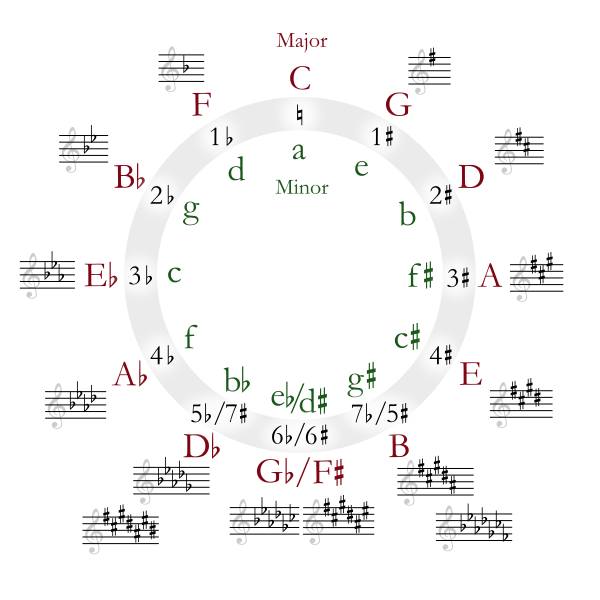 In fact, if you read the circle of fifths clockwise, you can discover the keys generated by adding sharps to the key, and it does indeed progress in fifths. And if you read it counter-clockwise, you get the keys generated by adding flats to the key, but in this case it progresses in...fourths! Any way you look at it, you can get all the keys corresponding to the 12 degrees of the chromatic scale. To finish this article, a brief note on the so-called "neighboring" tones. First of all, you shouldn't confuse them with the "tones" as interval measuring units (refer to the first article). 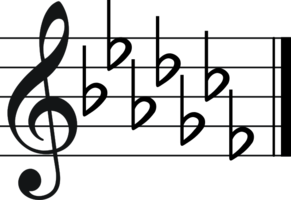 The neighbor tones of a given scale are its relative and the keys left (a fourth above) and right to it (a fifth above) in the circle of fifths. Plus the respective relatives of these two scales. So each scale has five neighbor tones. But before we start talking about composition – and harmonizing, to be more precise ─ in the next article we'll deal with chord generation.